Flying into Space City? Get all the space you need to make the announcement with a Houston Flyer. 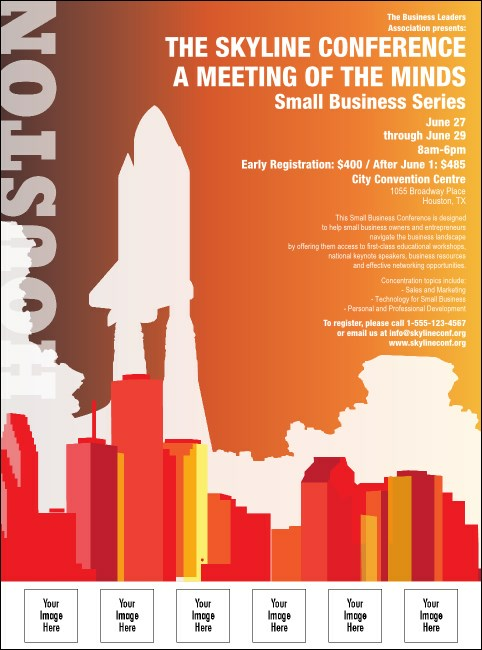 This bright red flyer matches the Houston Event Kit, with silhouetted figures dancing, playing, and moving, along with a cityscape, and space to upload six of your own custom images so you can customize the flyer for your event. For local ticket printing in every location, find your city at TicketPrinting.com.